The barrios of Medellín can be confusing for a first time visitor. Medellín being the only city in Colombia with a metro rail; ubers, taxis and buses are also abundant ad a lovely way to get around. Knowing the callers and carerras are crucial but when in Medellín, Colombia period, always get the name of the barrio, believe us it makes a difference. Workshops known as tallers in Colombia serve as the stations for production and fabrication. 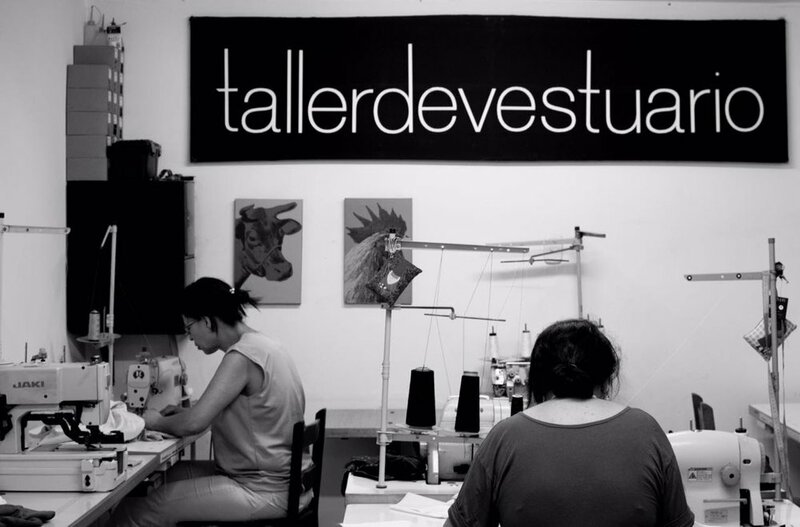 Taller De Vestuario is a brand that caters to creating clothing to your size, so having an in-house team is a must! After a very off track and wandering uber ride, our host in Medellín finally tracked us down and rescued us. Of course that gave us the time to get to know each other. We broke down our mission and why we ere here in the first place and what we are looking for. Juan then looks at me with lit eyes and says there is a designer you have to meet, you guy have similar brands and missions. Our social responsibility to fashion and designers is what led to an impromptu, late evening and last minute meeting, where we spent a couple hours dishing about our passions and another hour inked out the kinks of both of ours first international deals. Clara is a lover of people and all things fashions and design. So working with textiles that are responsible and learning from indigenous tribes are just a couple steps our clothing designer takes to create multiple collections each year. Immersing herself in both roles and sides of fashion as a designer and manufacturer has left this twenty something with wisdom and accountability that the industry needs. Clara Baldovino is the creator and founder of the brand, Taller De Vestuario. Studying design but learning how to sew from her mother and grandmother the young designer has over 40 years of experience within her taller. With her mother working along side her daughter to fabricate collections, custom fittings, and one of a kind pieces for collaborations and for local celebrities, the brand in its short 3 years has made a great reputation for itself.